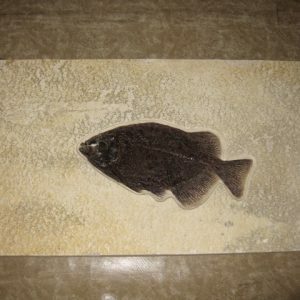 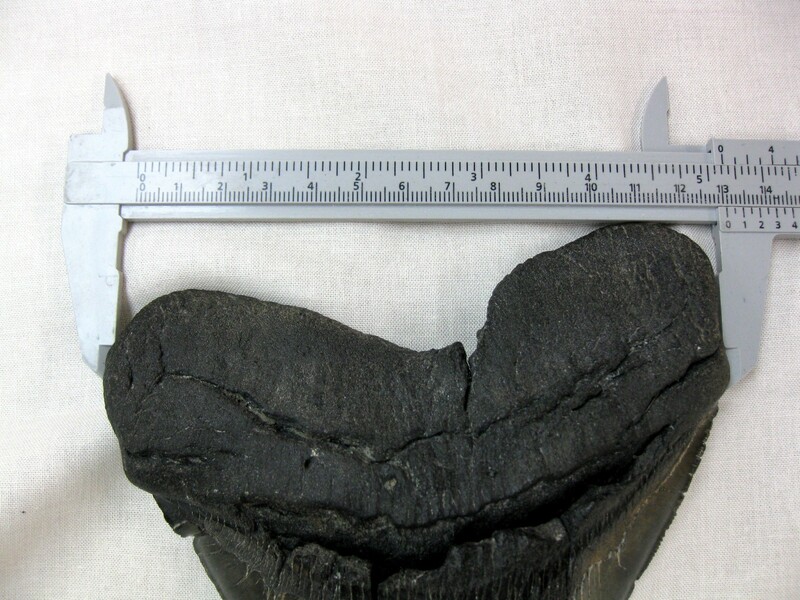 Specimen measures approx. 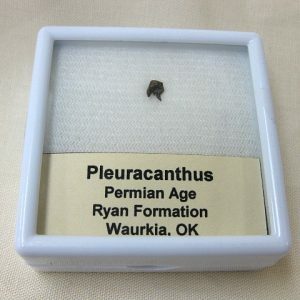 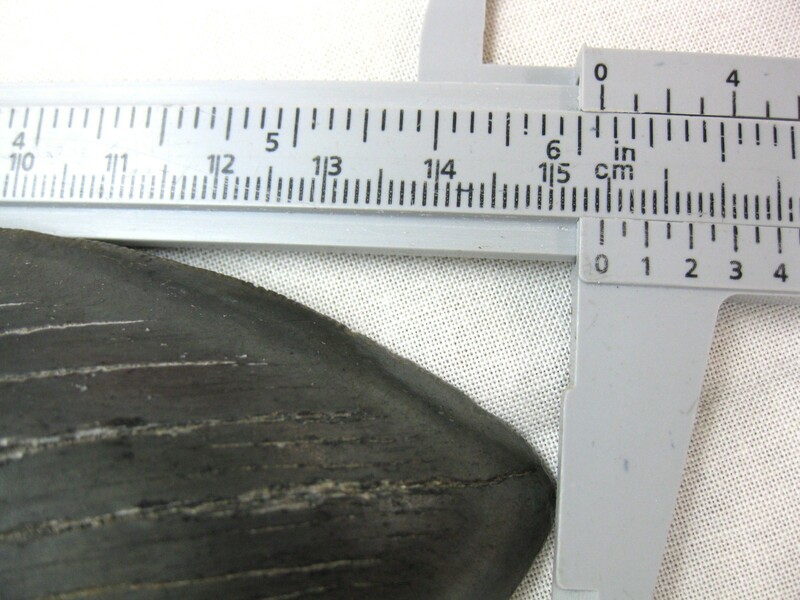 6 3/32″ long along the longest side of tooth… and 5 1/8″ wide… HUGE TOOTH!! 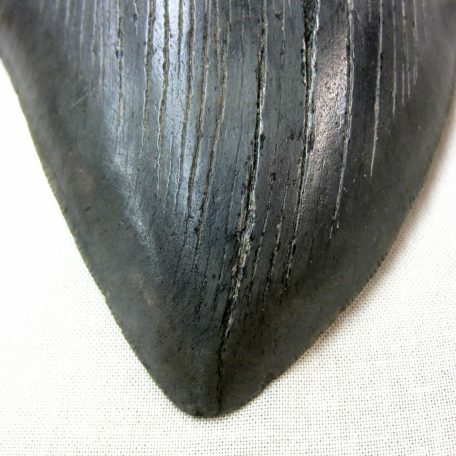 Megalodon is an extinct species of shark that lived approximately 15.9 to 2.6 million years ago, during the Cenozoic Era (middle Miocene to end of Pliocene). 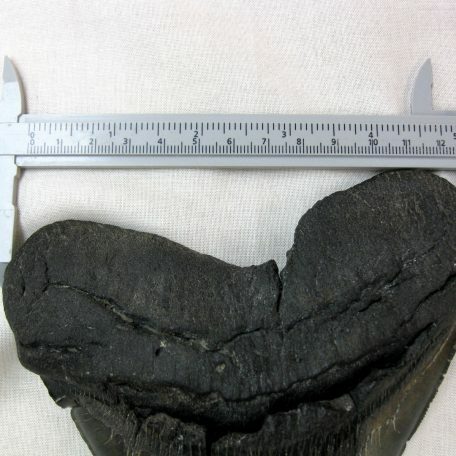 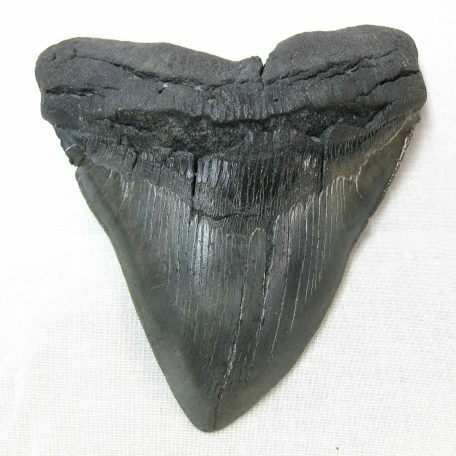 The taxonomic assignment of C. megalodon has been debated for nearly a century, and is still under dispute. 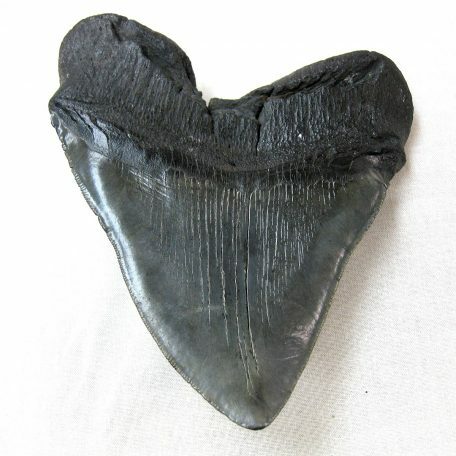 The two major interpretations are Carcharodon megalodon (under family Lamnidae) or Carcharocles megalodon (under the family Otodontidae). 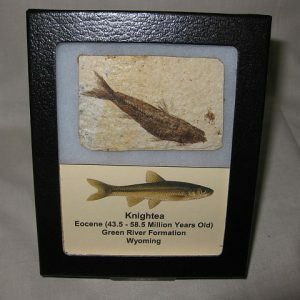 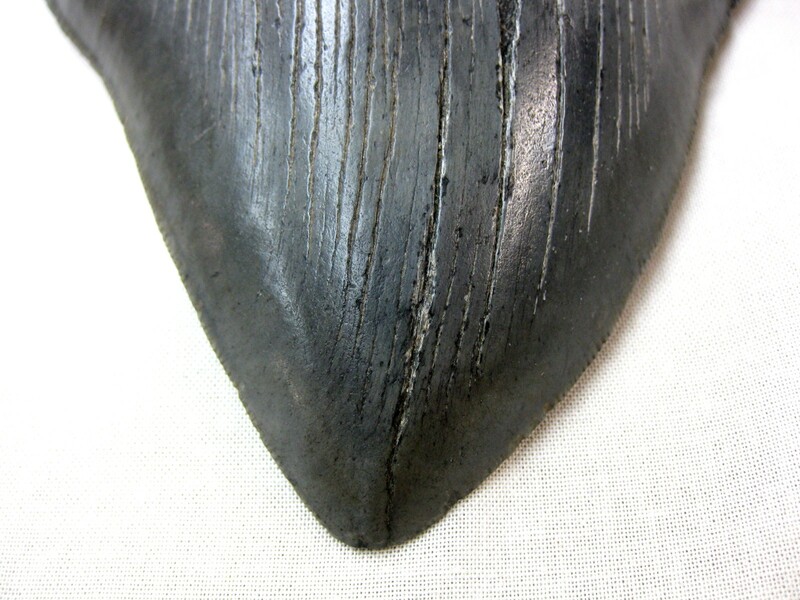 Consequently, the scientific name of this species is commonly abbreviated C. megalodon in the literature. 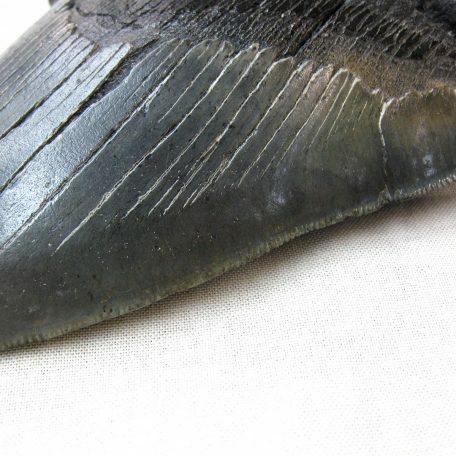 Regarded as one of the largest and most powerful predators in vertebrate history, C. megalodon probably had a profound impact on the structure of marine communities. 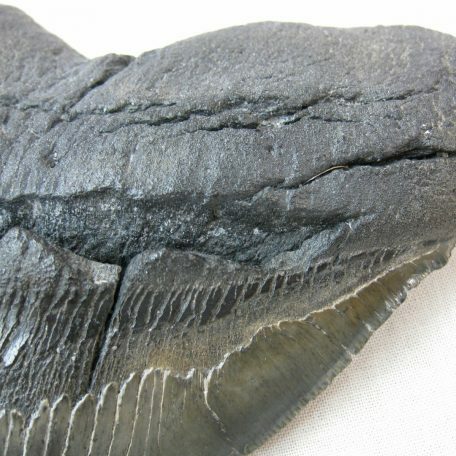 Fossil remains suggest that this giant shark reached a length of 18 metres (59 ft), and also indicate that it had a cosmopolitan distribution. 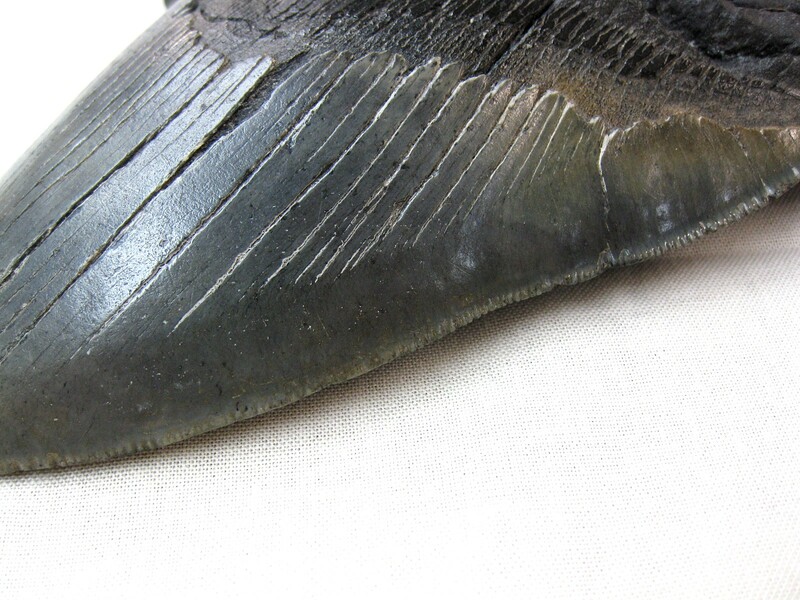 Scientists suggest that C. megalodon looked like a stockier version of the great white shark, Carcharodon carcharias. 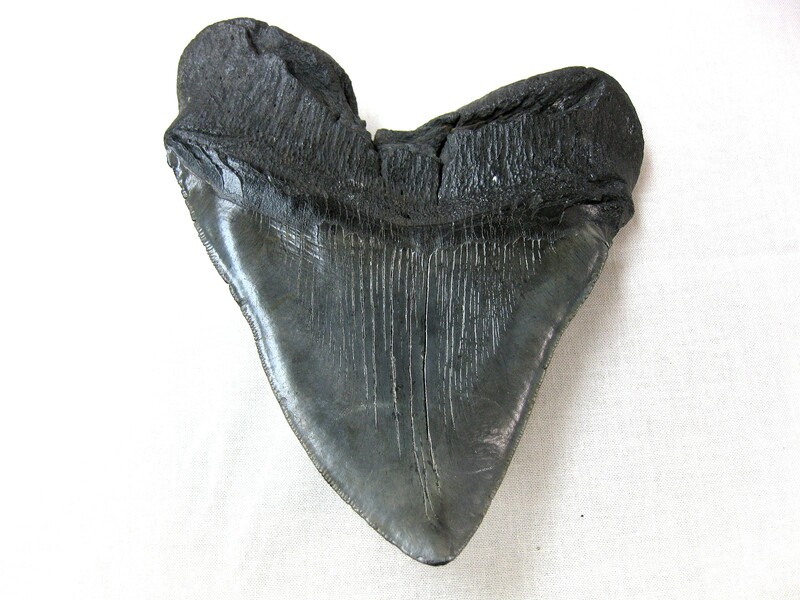 C. megalodon is represented in the fossil record primarily by teeth and vertebral centra. 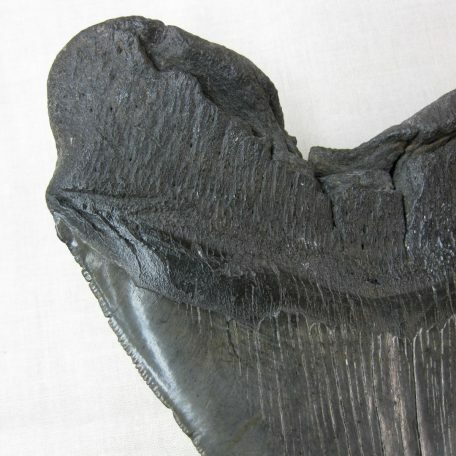 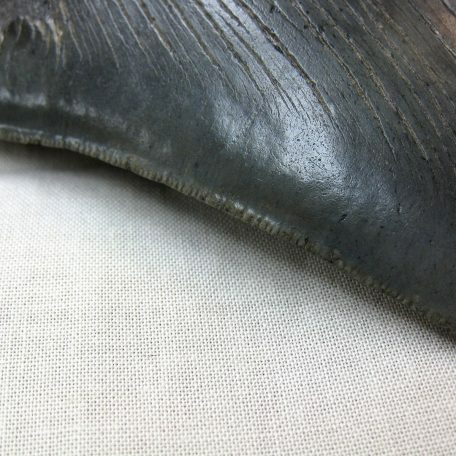 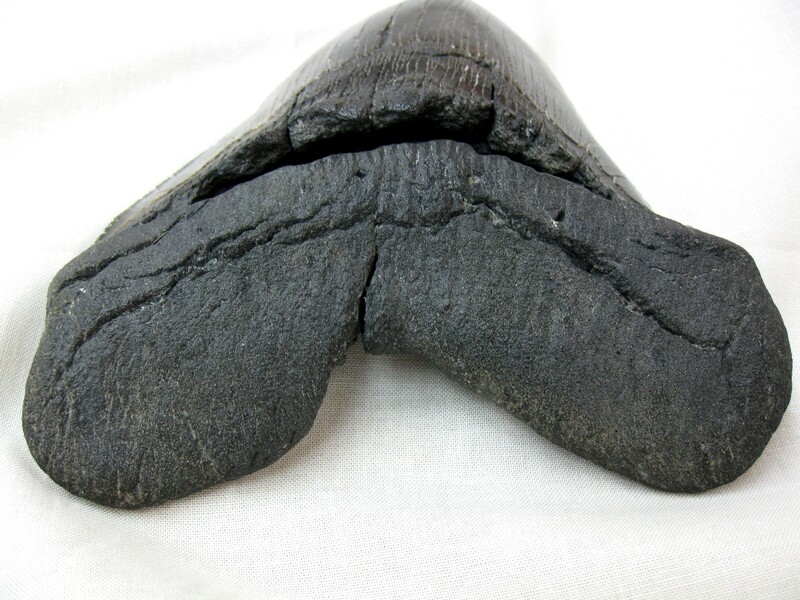 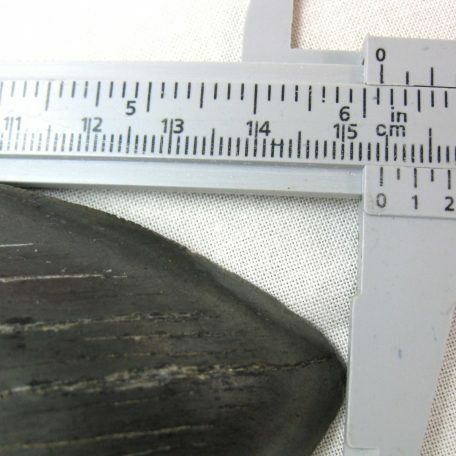 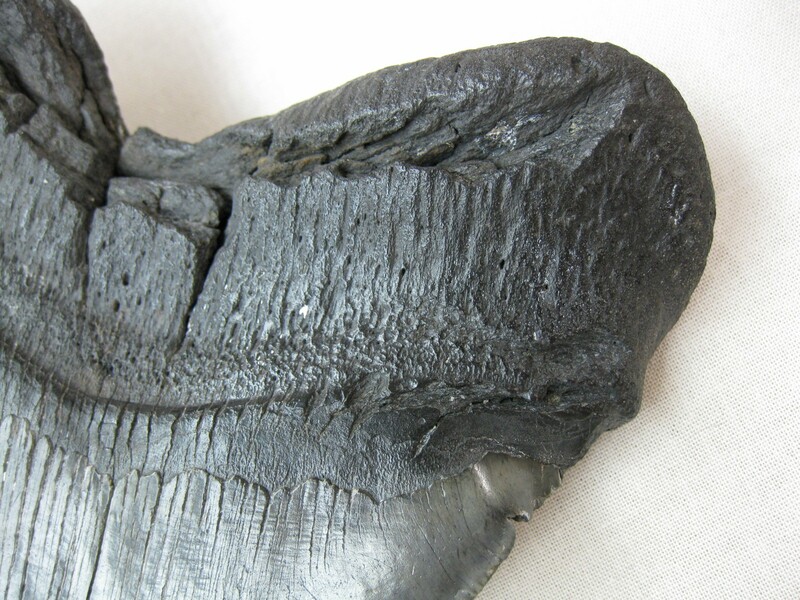 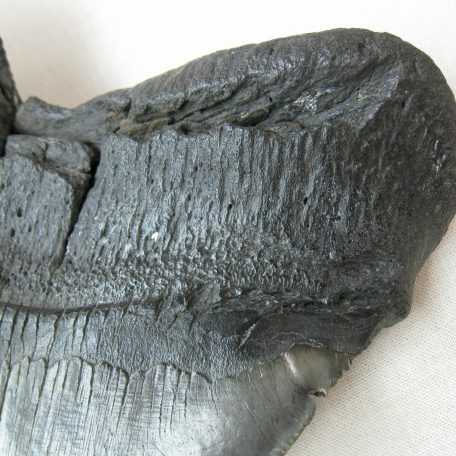 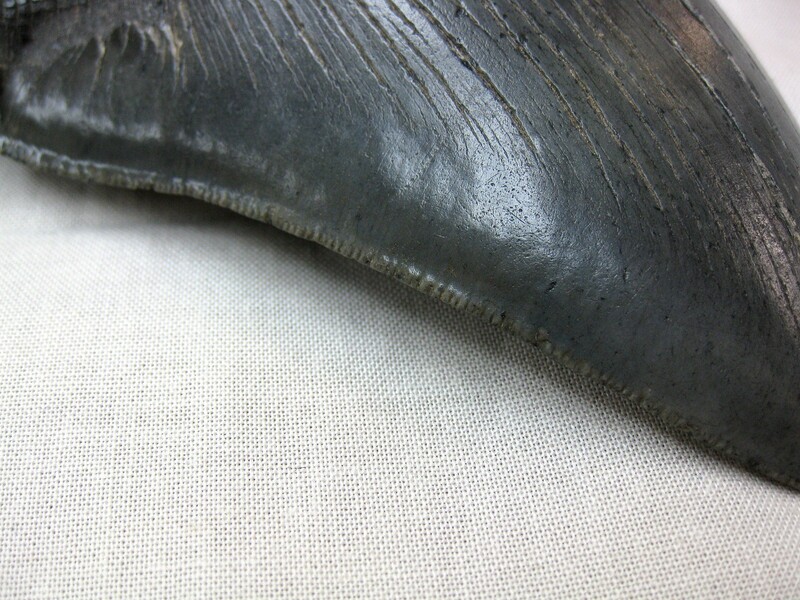 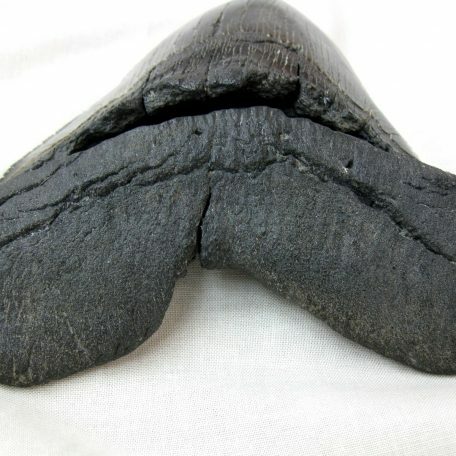 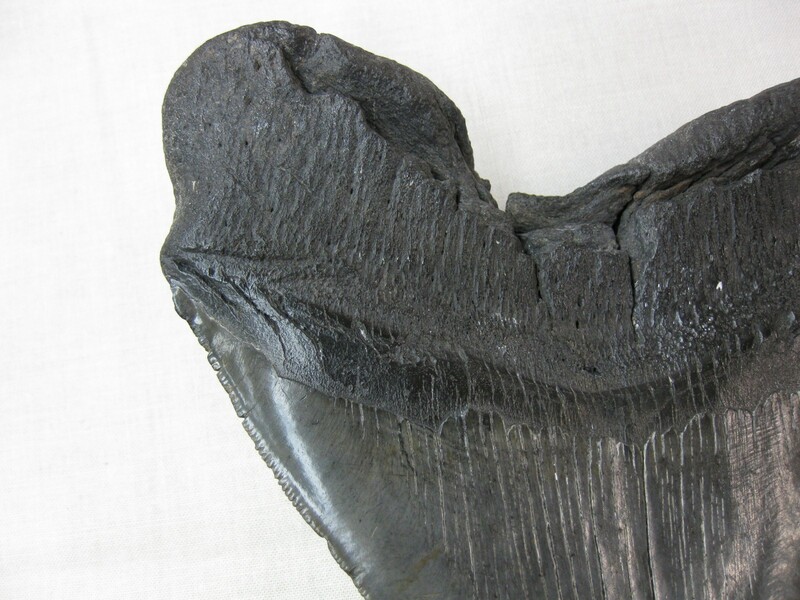 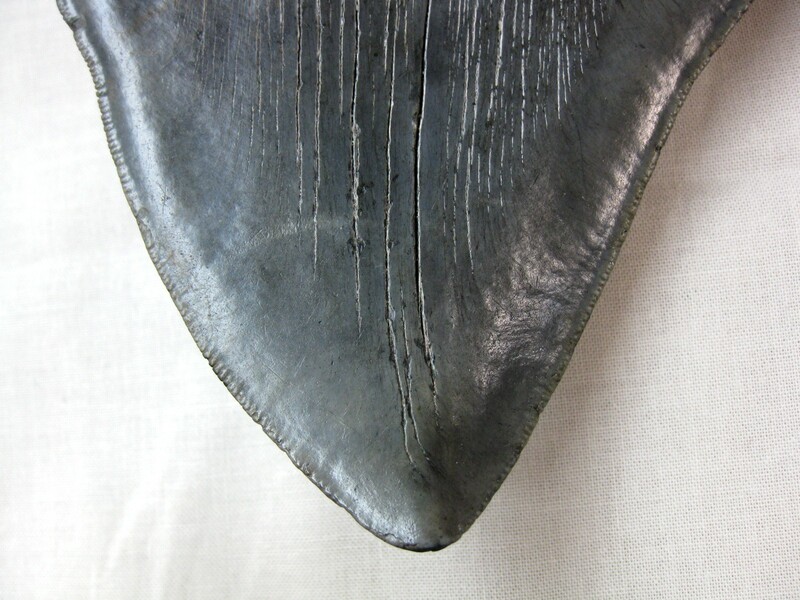 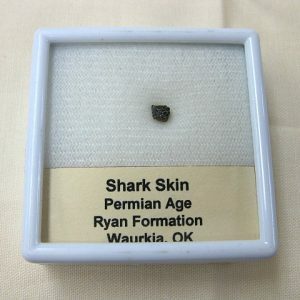 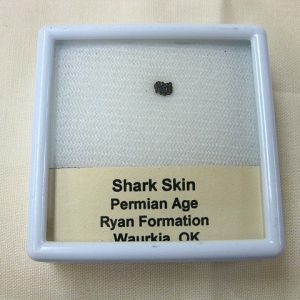 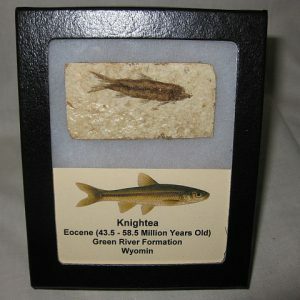 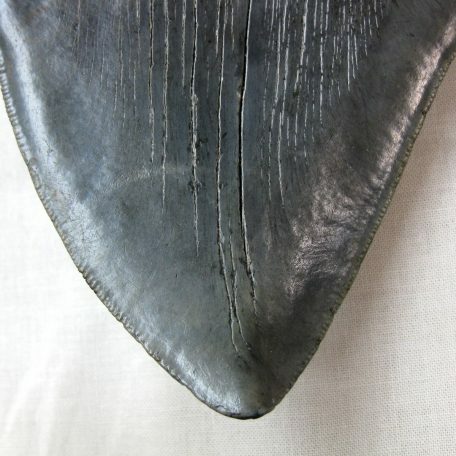 As with all sharks, C. megalodon’s skeleton was formed of cartilage rather than bone; this means that most fossil specimens are poorly preserved. 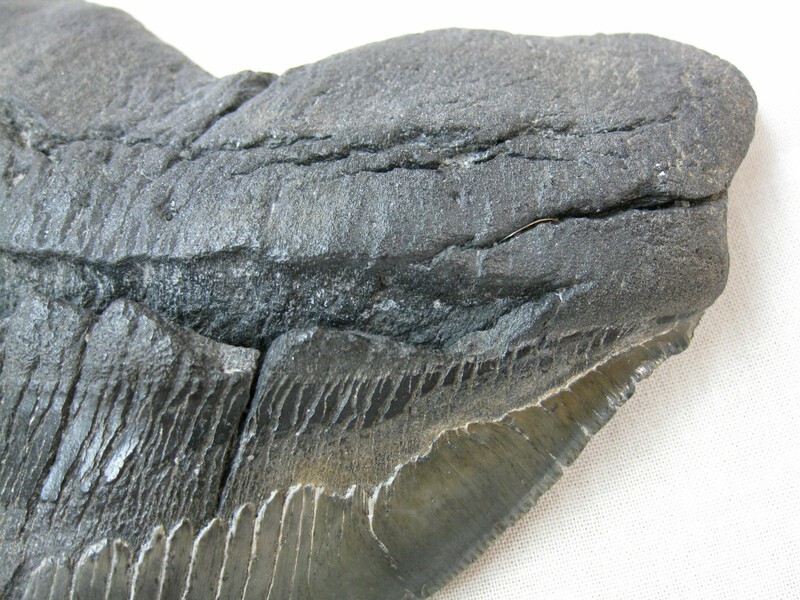 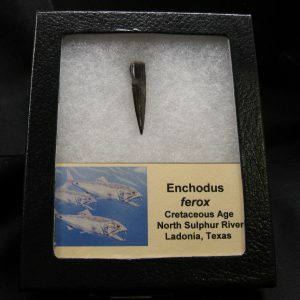 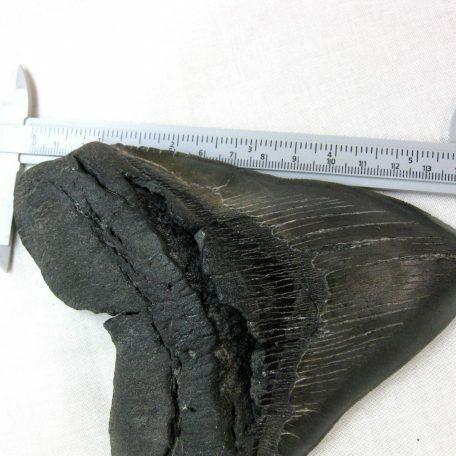 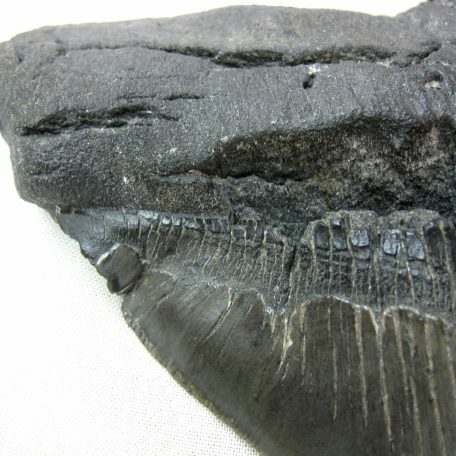 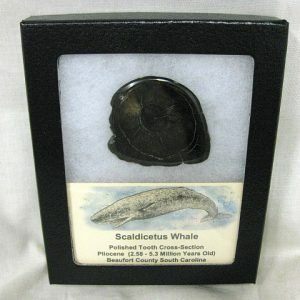 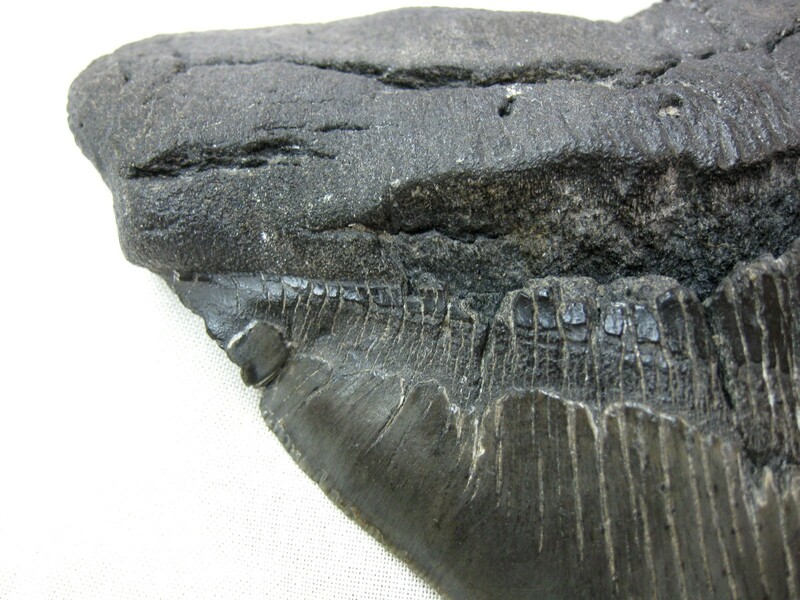 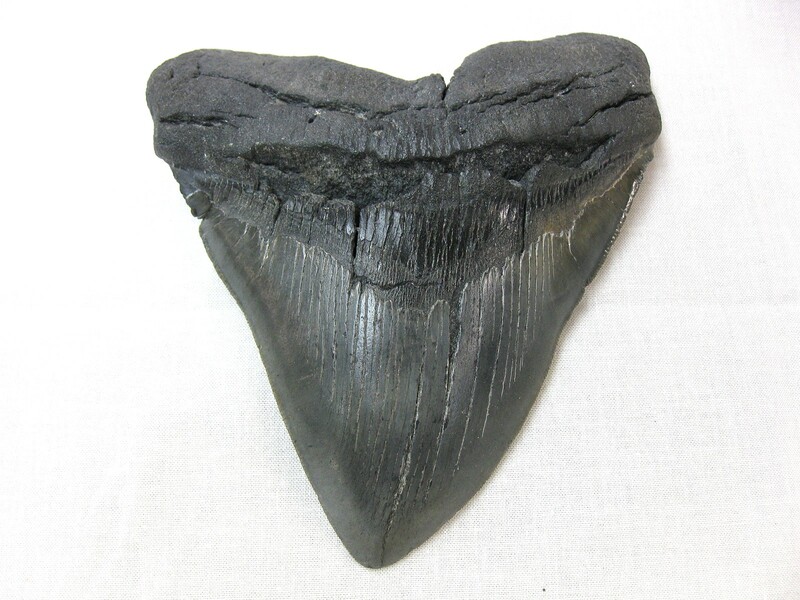 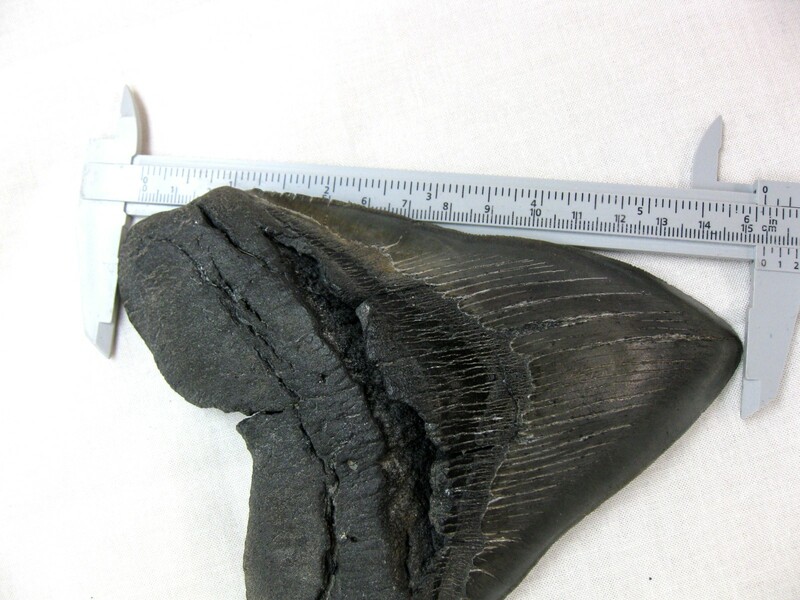 While the earliest megalodon remains were reported from late Oligocene strata, around 28 million years old, a more generally accepted date for the origin of the species is the Middle Miocene, about 15.9 million years ago.